Speak Out for the Cows on Earth Day! 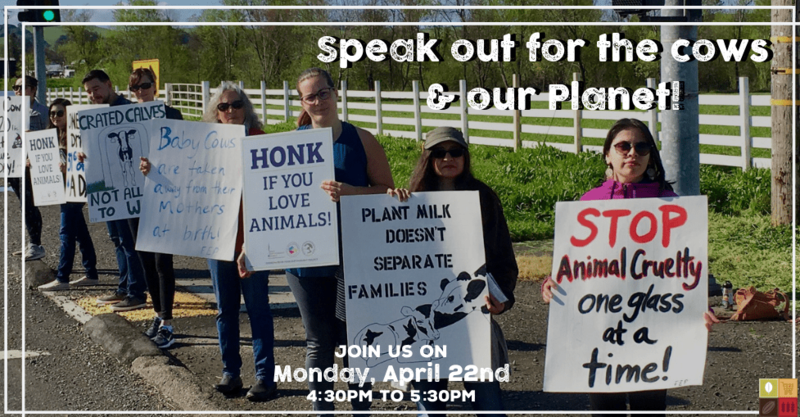 This Earth Day, show your love for cows and our planet by joining us as we speak out for the cows raised for dairy and to encourage people who truly love animals to go vegan! Our goal is to help commuters in Sonoma County understand the underlying cruelty of the dairy industry and its impact on our planet.